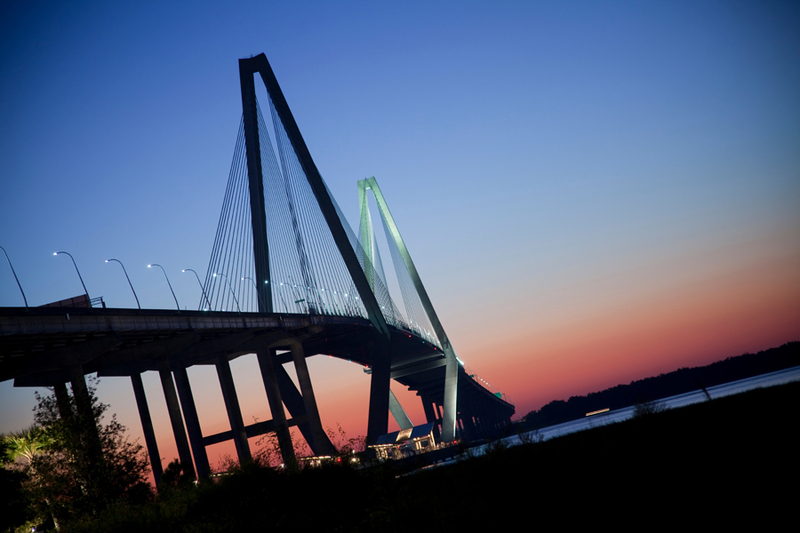 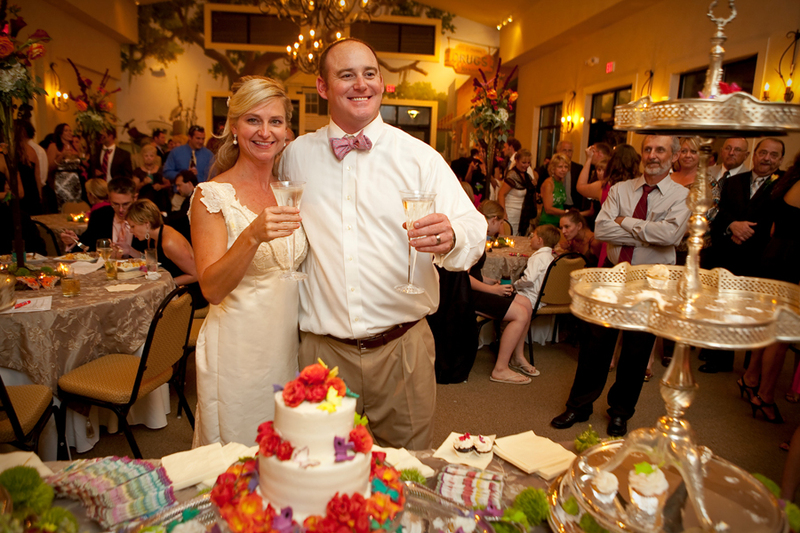 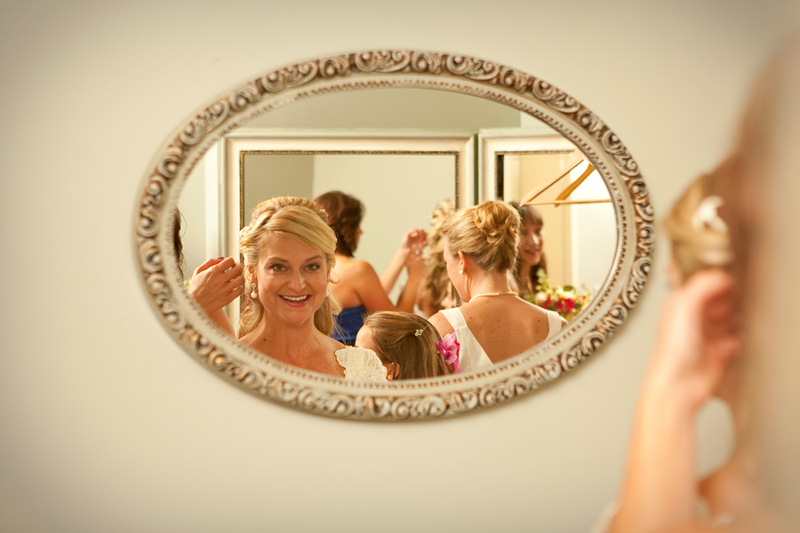 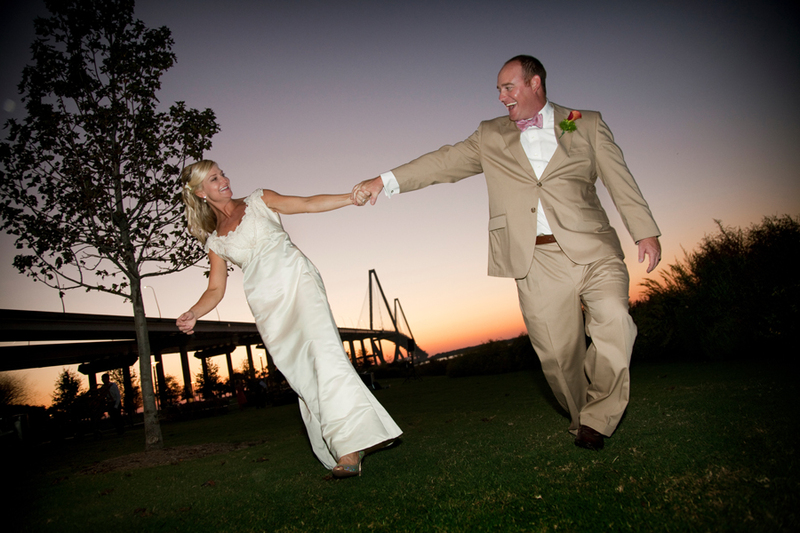 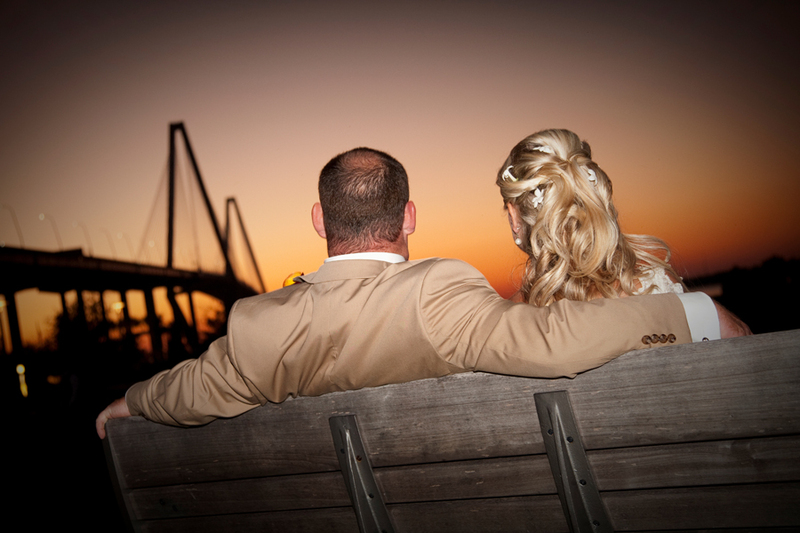 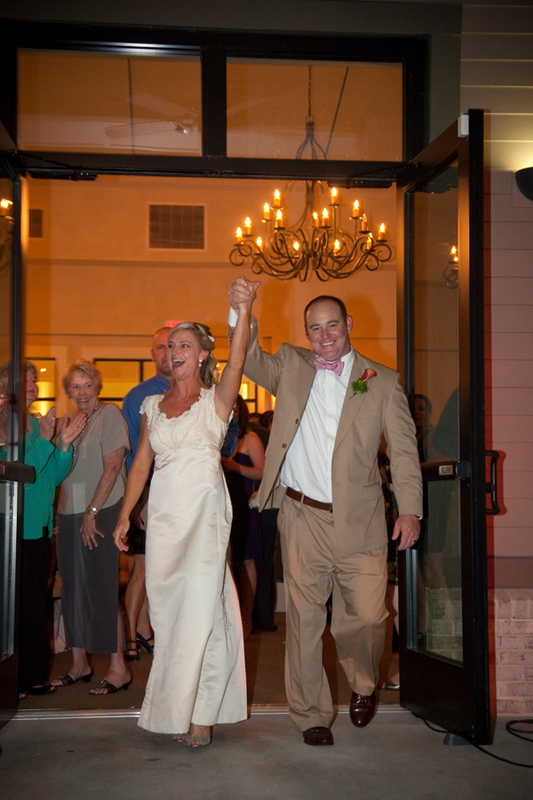 Rob and Ginger were married at the Cooper River Room in Mount Pleasant, just over the bridge from dowtown Charleston. 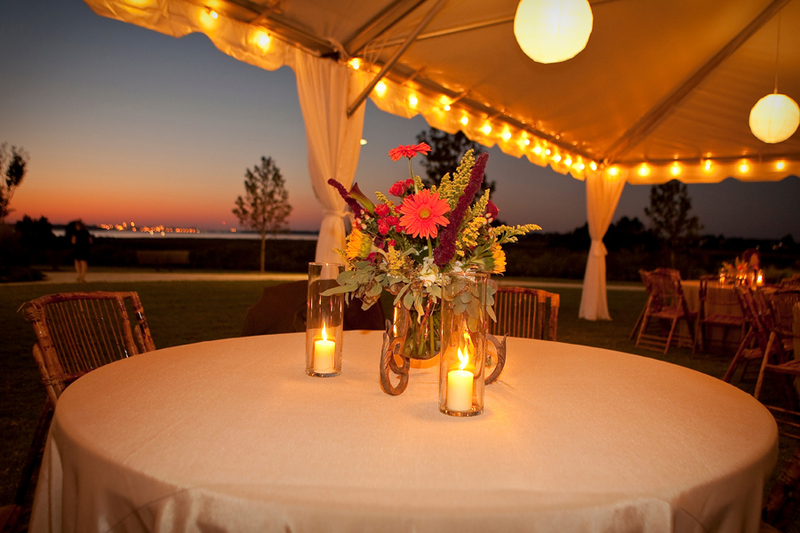 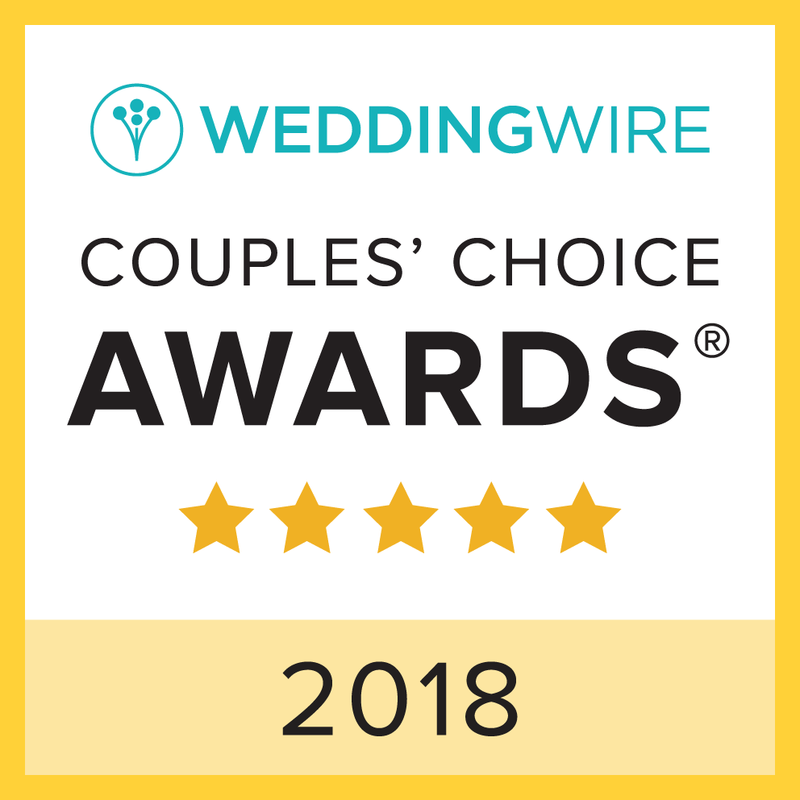 Their 200+ guest count required that we use both the inside of the venue as well as putting up a tent outside for the reception. 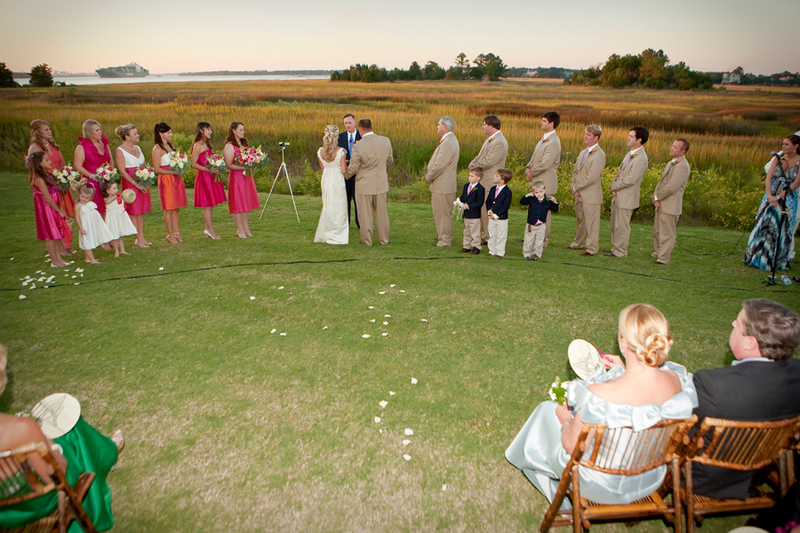 The bridesmaids looked cute and trendy in their unique dresses with shades of organge, tangerine and pink. 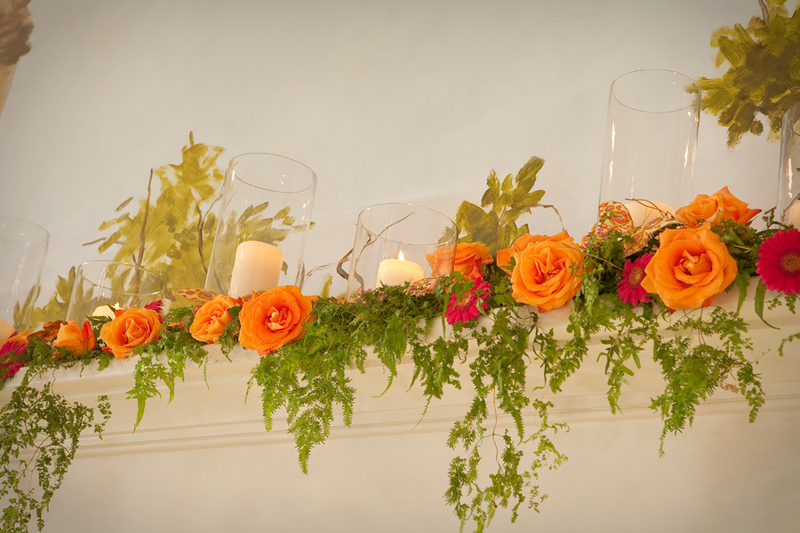 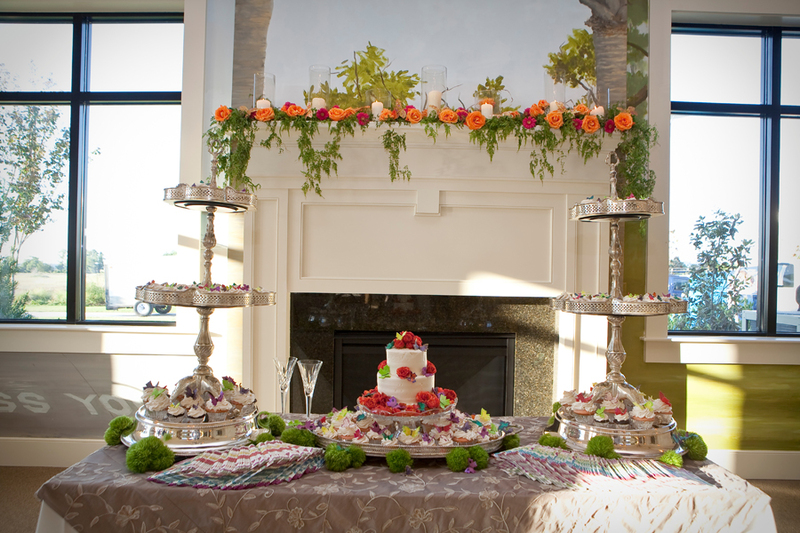 Their florist, a family friend, created stunning centerpieces and a beautiful mantle as seen above. 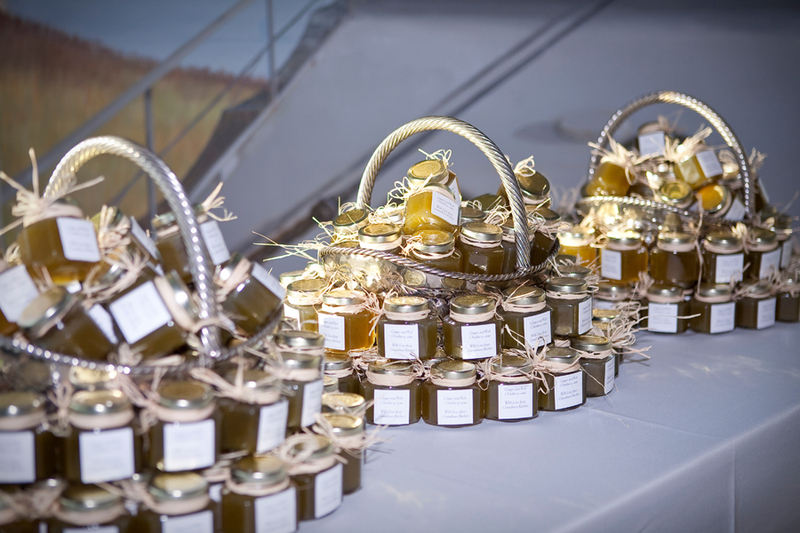 Their favors, tastefully displayed in baskets allowed guests to sample South Carolina honey. 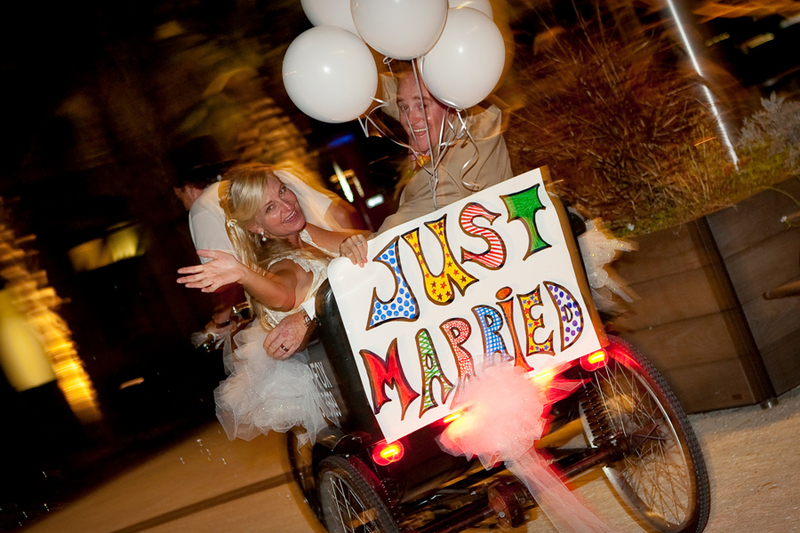 One of the best moments of the nights was when the bride and groom were sent off via pedi-cab. 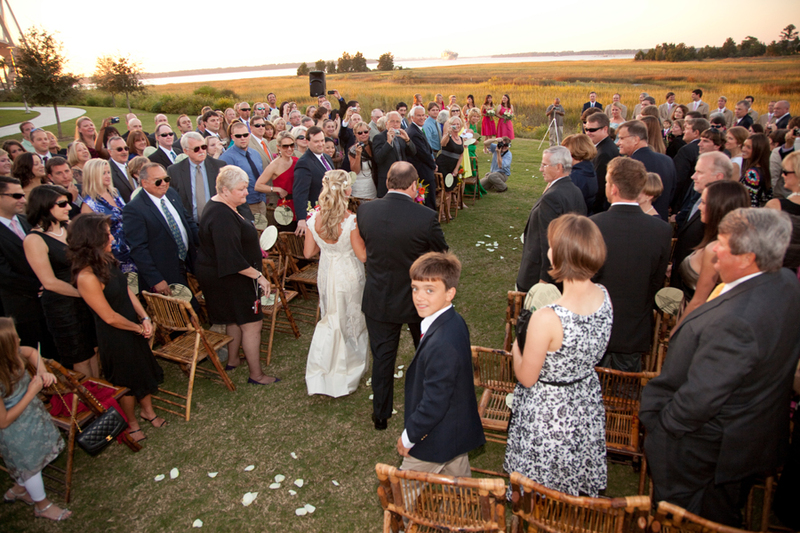 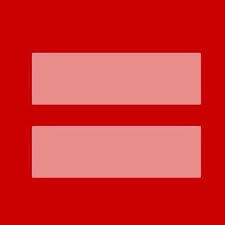 The circular walkway in the back of the venue allowed them to circle three times before finally sending off. 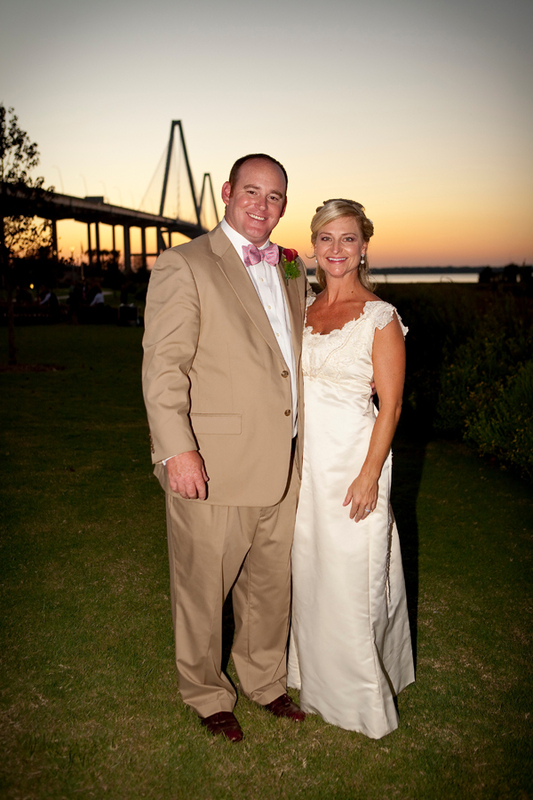 Ginger and Rob we hope you enjoyed your Charleston wedding!